CULLMAN – Archers from all different ages came together today in the Cullman Civic Center for a day of fun and friendly competition in Cullman City Parks and Recreation’s (CP&R) Christmas Break Archery Tournament. The event, which organizers plan to be the first of many, hosted four lanes of 3-D animal targets at various distances as well as traditional NASP (National Archery in the Schools Program) targets at 10 and 15 meters. Eight total categories were available by age and target type: elementary school, middle school, high school and adult for both NASP-style and 3-D.
After five rounds of shooting – one every hour plus a break for lunch – the scores were ready to be counted. 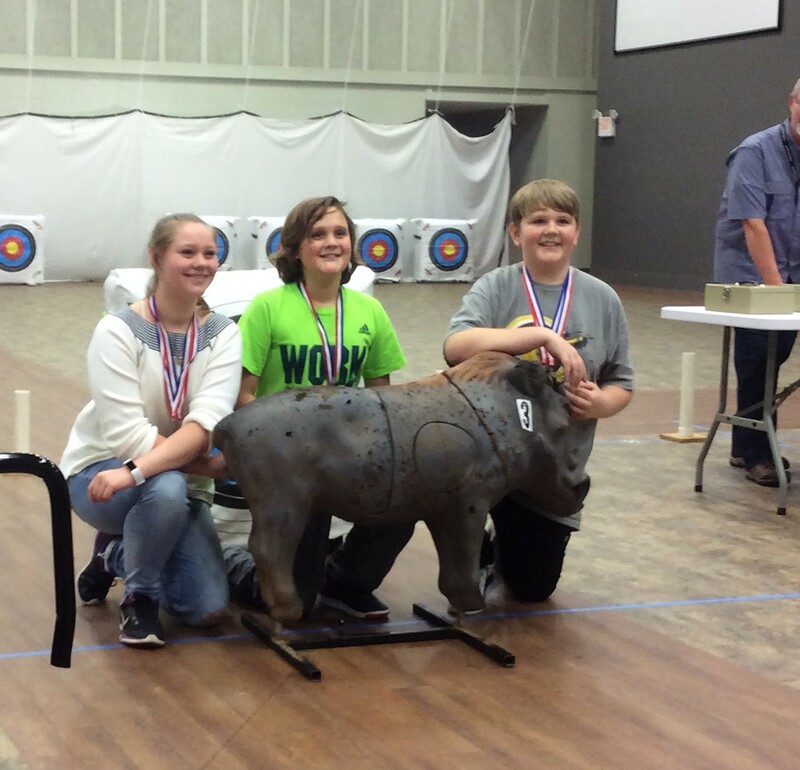 While the scores were tallied, officials killed time by hosting a little archery contest with the NASP targets for anyone who wanted to shoot, regardless of whether they registered for the tournament (bows were provided for anyone who did not bring their own). After the contest, the final scores were not yet ready, so officials moved on to giving out door prizes: two targets, the choice of a free $5 accessory from the Friends of Archery in Schools booth and two dozen arrows provided by CP&R. All throughout the tournament, Friends of Archery in Schools sold jewelry and accessories at a booth near the entrance. Dr. Molly King and her son Alex previously helped raise more than $5,000 to start an archery team at Liberty Middle School by selling jewelry for $5, and today they set their sights on helping James Clemens High School. With an expanded inventory that included more variety and $10 belt buckles, Dr. King says she hopes to raise at least $5,900 for JCHS, which would help fund a team of 40-50 people. All of the profit goes straight to the team, and anyone who wishes to donate can make a check out to James Clemens High School and send it to 312 Lena Cain Blvd., Madison, AL 35756.